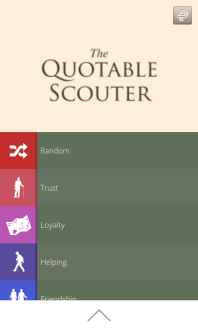 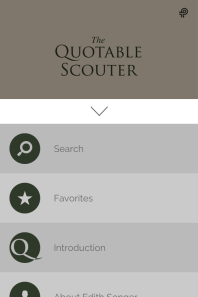 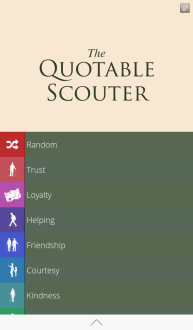 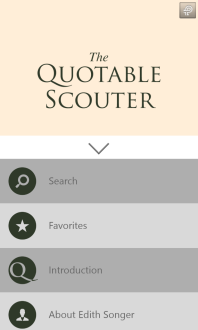 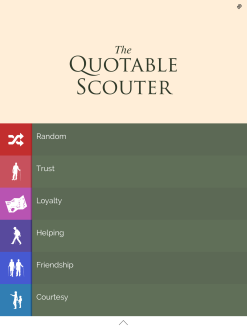 Created for your “Scout Master Minute,” The Quotable Scouter App is everything you’ve ever wanted, right at your fingertips, to make your “minute” unforgettable. 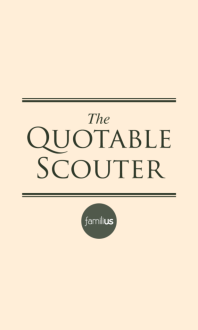 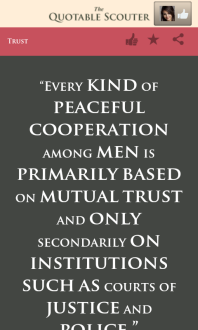 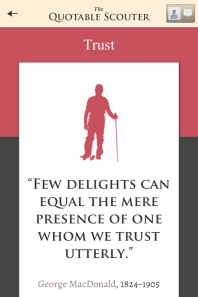 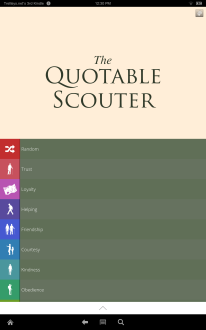 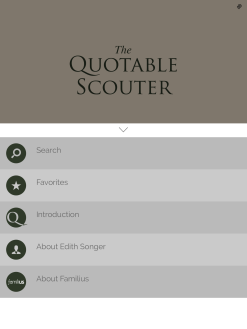 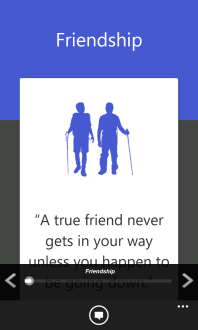 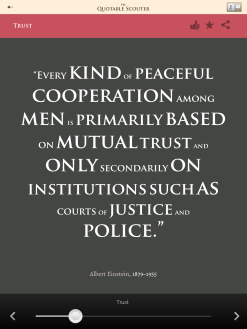 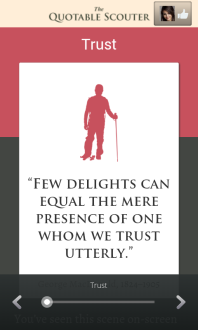 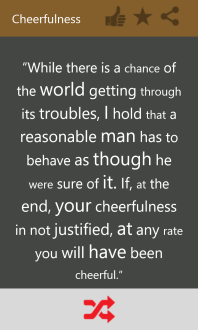 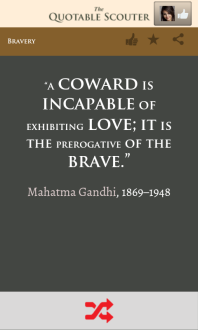 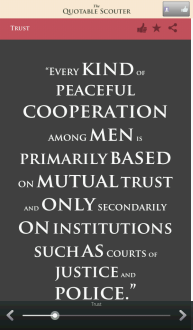 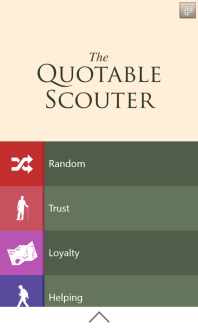 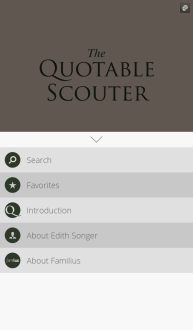 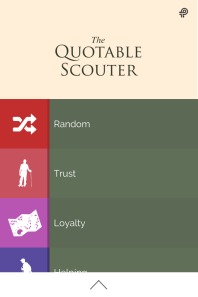 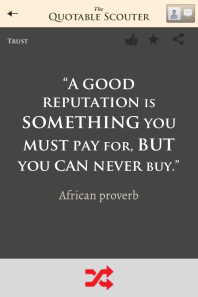 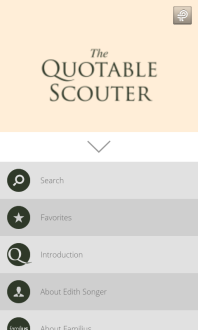 The Quotable Scouter App communicates the values that have been upheld by the scouting movement ever since Robert Baden-Powell published Scouting for Boys in 1908. 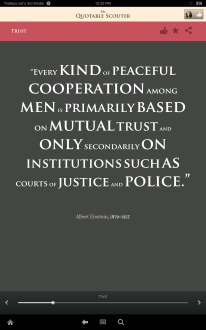 These values, so critical to our nation and world, are worth exploring repeatedly as we work to develop strong character in ourselves and the young people we serve. 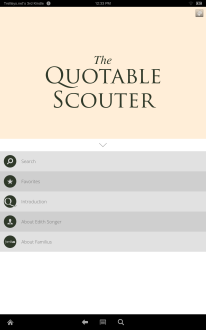 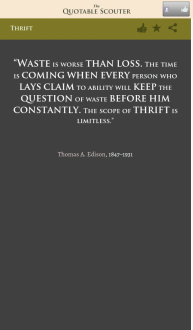 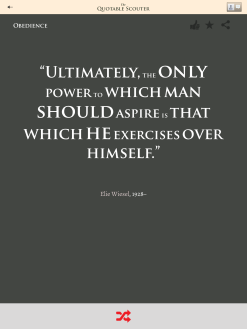 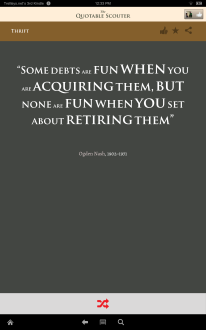 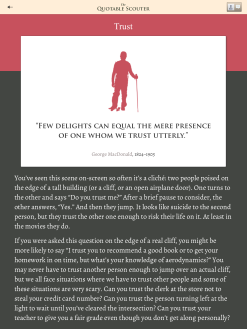 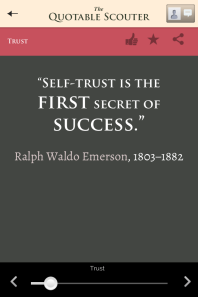 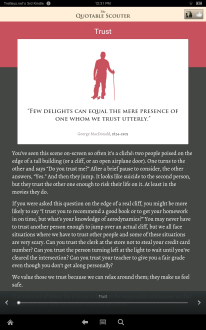 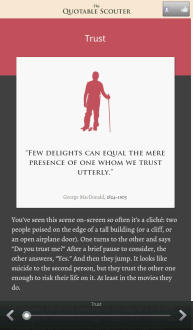 With easy topic navigation and over 200 useful quotes from inspiring people throughout history, the Quotable Scouter App will ensure you will always be prepared!